A whiskey sour is the whiskey cocktail you should be drinking. Long gone are the days of a whiskey soda, or even worse a whiskey coke (unless you’re in high school you shouldn’t be insulted at that) if you can’t appreciate your whiskey straight this is the cocktail for you. There are only two variations, that being said, vegans do not fret! The egg whites are optional! Or if you dig the foam, go for our favorite alternative aquafaba. The Whiskey Sour is a simple cocktail, granted it is part of the “sour family” and therefore made with the most common ingredients at a bar- limes, lemons, and simple syrup y’all. That’s how it the original was made, the egg whites were a later addition to keep up with trends. It’s as simple as it gets for cocktails. The earlier versions of the cocktail call for it to be garnished with berries, we also evolved from that with the oh so popular maraschino cherry, but some people like their sour more sour than sweet so if more lemon or lime is what you’re vibing, be our guest. Different versions of the drink exist depending on the type of whiskey used. 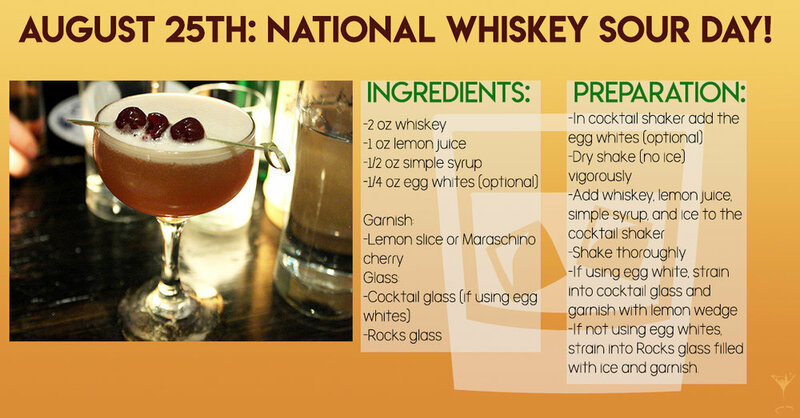 For example, the George Dickel Whisky Sour, is the same it just calls for George Dickel Whisky, specifically. Dewar’s Sour Rouge calls for Scotch, Rosemary Honey Syrup, and Lillet Rouge according to creator Cyllan Hicks. And finally, if limes and lemons are just not the kind of citrus for you- Jeff’s Redneck Sour uses grapefruit juice with a splash of the lemon sour. 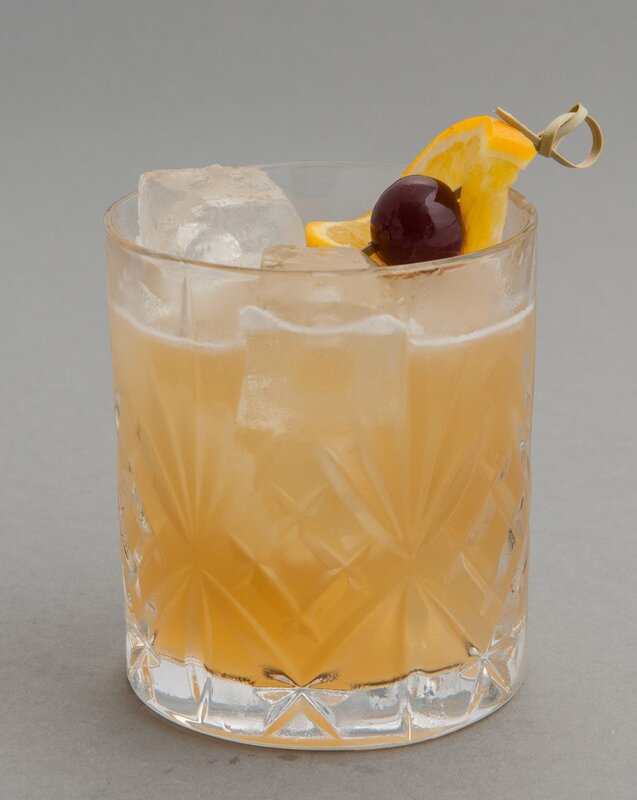 As far as the Whiskey Sour goes there are no traces of its origin, but there are plenty of accounts on how the Sour came to be about. The mention of it is cited in Jerry Thomas’ famous book, “The Bartender's Guide,” but the sour came around nearly 100 years prior. Given the lack of fridges in the 1700’s traveling by sea was a lot more awful than the easy rides on the land with horses and stops every so often. Since there was none of that on the choppy oceans if illness was also on board captains had very little options for saving their sailors from things like scurvy and other life threatening diseases. The superhero at that time was Vice Admiral Edward Vernon of England, who tried doing his best mixing about with anything within hand’s reach- that happened to be the purifying citrus limes and lemons, plus liquor for drinking given that not even water was safe back then. When they couldn’t handle rum on it’s own- voila the sour was born. The cocktail mix made its way to all shores, the English added Brandy or Gin, Americans modified it with whiskey and eventually the Whiskey Sour made its way to Jerry Thomas. His original recipe called for soda but soon enough everyone ditched it probably because it loses a lot of the carbonation after being shaken. Arguably, there is another debate here, does the egg white make it a Boston Sour? Bostonians seem to think so and we think we will let them. Universidad del Cuyo published a story, citing a Peruvian newspaper published from 1874-1879, “El Comercio de Iquique” which indicated that Elliott Stubb created the "whisky sour" in 1872. Whoever invented it, whoever added the egg, all we know is we are glad they did because whiskeys belong with sours like syrup on pancakes. How do you take it? Egg or no egg? Scotch of Bourbon? Let us know in the comments below how you celebrated. We hope you do enjoy our recipes and history lessons. We love teaching!